We’ve been experimenting with foil cutting and embossing. 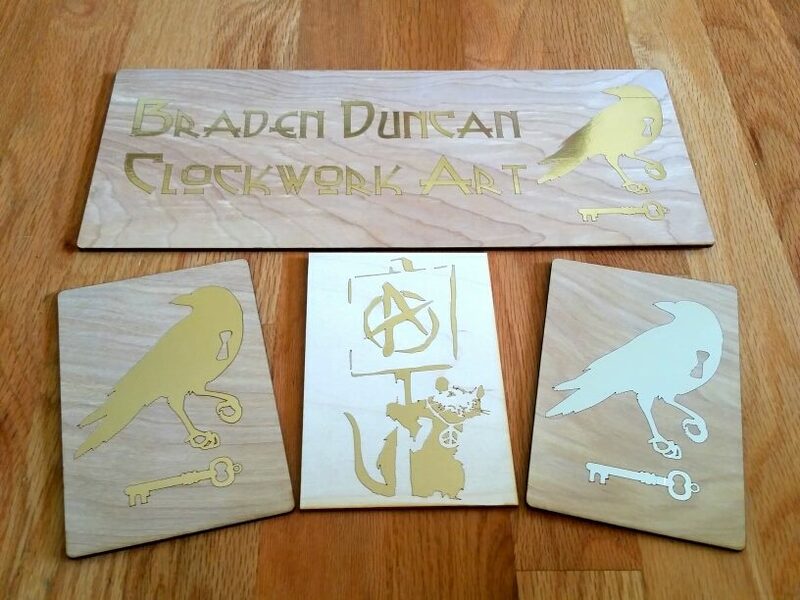 We have gold and silver foil that can be embossed onto different substrates, like wood. First you lay down the foil, then you cut the outlines using a low power setting, then peal away the portion you don’t want and press the foil again so it sticks securely. The results are lovely!